Callum Macrae, director of No Fire Zone, on the leaked UN document that suggests UN officials have been working “behind the scenes” on a plan for a purely domestic inquiry into allegations of war crimes at the end of Sri Lanka’s civil war. The UN says it “supports accountability mechanisms that meet international standards”. The current Sri Lankan government has also rejected an international inquiry saying it can be trusted to carry out the truth and reconciliation process itself. The UN said it “supports accountability mechanisms that meet international standards”. “Whether that should be a domestic or international process or comprise elements of both… will need to be determined,” a statement said. 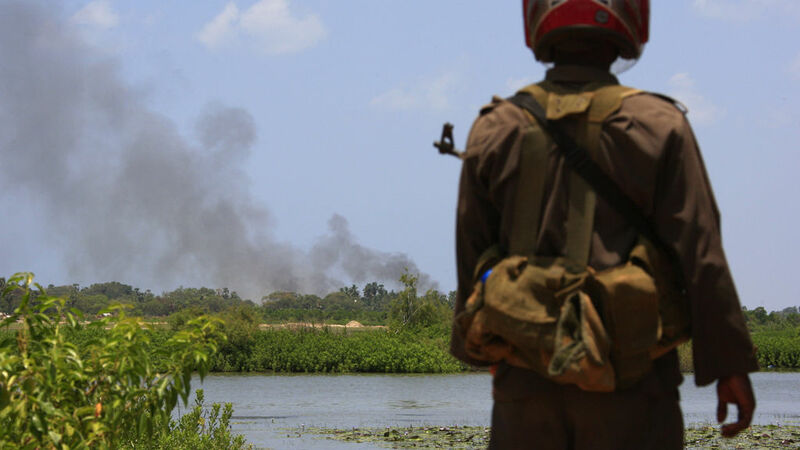 A leaked UN document raises concerns over the prospects for genuine justice for the Sri Lankan victims of alleged war crimes, writes Callum Macrae. Channel 4 News has been supplied with the leaked document which critics claim could pre-empt and undermine September’s Human Rights Council discussion on a UN’s long-awaited investigation into crimes committed at the end of Sri Lanka’s 26-year civil war. According to the UN tens of thousands of Tamil civilians died in the closing stages of the Sri Lankan military’s war against the LTTE, also known as the Tamil Tigers. The UN says most of those civilians died in government shelling as they were crammed into ever-diminishing “No Fire Zones” – though the Tamil Tigers are also alleged to have committed grave abuses including suicide bombings and the use of human shields. The document appears to be have been created by the UN in conjunction with the Sri Lankan government, and outlines plans to set up a purely domestic inquiry into human rights violations – with technical support from the UN. Most human rights groups regard plans for an internal judicial process as unacceptable and many warn it would inevitably be seen as a “victor’s court”. The leaked UN plan claims that the “implementing partners” for the scheme would include, along with the Sri Lankan government, the Tamil-dominated Northern Provincial Council, widely seen as representing the popular voice of the Tamils. But that council’s chief minister, former Sri Lankan Supreme Court Judge CV Wigneswaran, toldChannel 4 News that the UN had not even consulted them on the plan. He added that despite the fact that under the scheme the council stood to receive half a million dollars in funding, he was minded to reject it. What is surprising is that this document has emerged ahead of the September Human Rights Council discussion. The September meeting is about the international investigation – announced by the Human Rights Council in March 2014 at the behest of world leaders including David Cameron – into alleged war crimes and human rights abuses. Six months earlier David Cameron had visited the Tamil-dominated north of Sri Lanka, alongsideChannel 4 News Presenter Jon Snow, where he was inundated by requests from the families of Sri Lankans who have been missing since the end of the civil war in 2009. Expectations are high for the HRC’s report and what happens after it has been released. 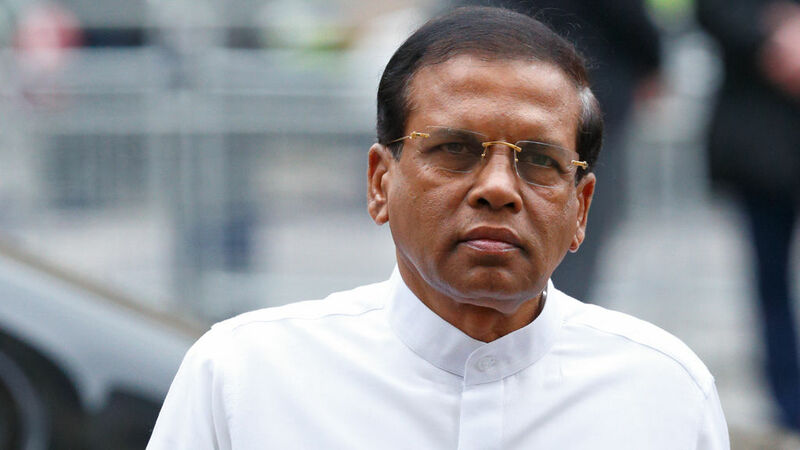 The government of Sri Lankan President Maithripala Sirisena – who replaced Mahindra Rajapaksa in January – have said they can be trusted with a domestic inquiry. Tamil activists want an international inquiry. President Sirisena’s government has done much to tackle corruption, reduce the power of the executive presidency and lift restrictions on the press. It has also, significantly, shifted the countries international orientation from China back to the West and India. That diplomatic shift led some to re-appraise the calls for international justice. In the US some commentators, notably former ambassador to Sri Lanka Teresita C Schaffer, called for the US government to “lower its voice” on human rights in the country. But many Tamils doubt the government’s ability to create an internal inquiry that will not be swayed by the views of the victors. They point to the fact that although there has been much talk of “reconciliation” from the new government, there have been few concrete changes for the Tamils of the north and east. Many thousands of Tamils taken into captivity during and in the immediate aftermath of the war are still missing and the government denies knowledge of all but 273 of them. Eyebrows will also be raised about the fact that one of the UN “partners” in the domestic inquiry would be the prime minister’s office. Former President Mahinda Rajapaksa is standing in next month’s parliamentary elections. His supporters hope he could be the next prime minister. This creates the possibility that the UN would be co-operating with the man accused of overall command responsibility for the war crimes being investigated, in the inquiry into those alleged offences. Mr Rajapaksa has denied allegations against him, and accused those calling for an investigation of having hidden agendas.